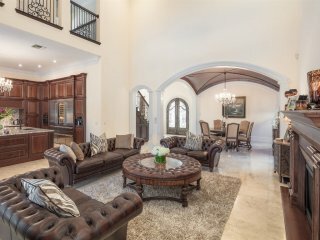 NEW PRICE ! 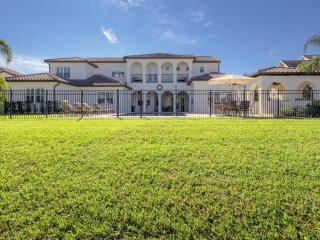 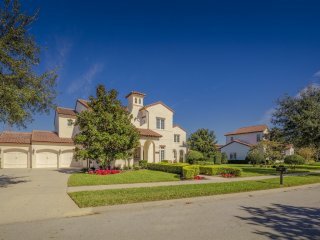 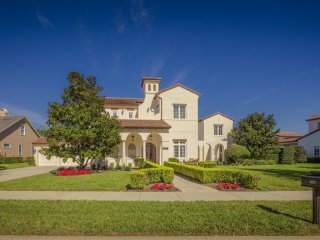 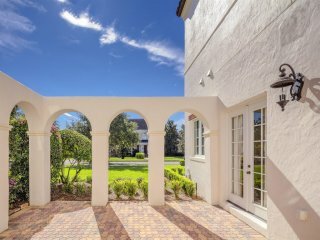 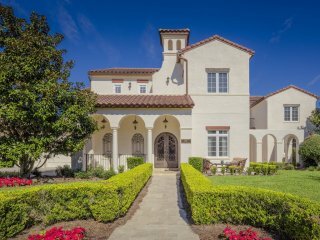 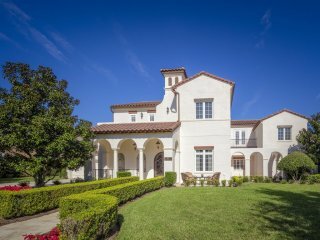 Magnificent Waterfront Mediterranean Estate in the prestigious Estate section of Celebration. 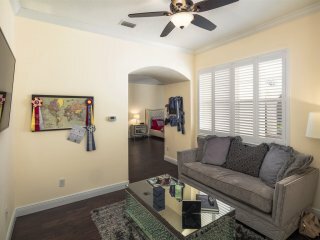 Imagine the possibilities w/ 3 spacious bedrooms on the 1st floor- incl. 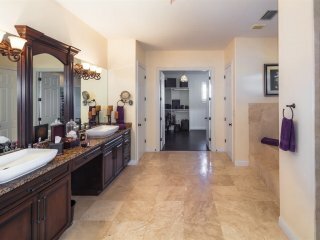 2 Master suites. 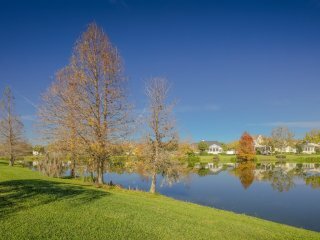 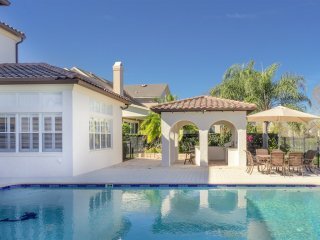 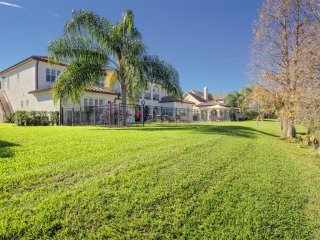 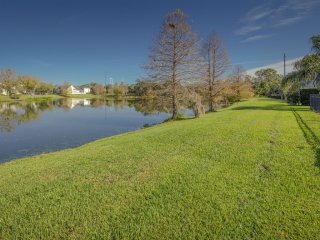 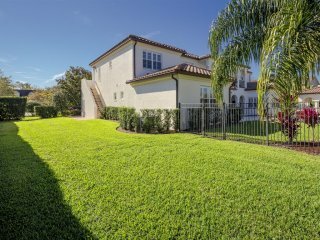 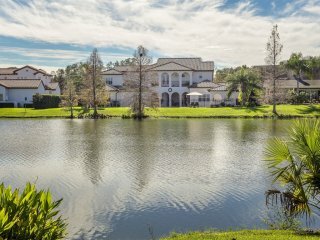 Owner’s recently renovated this 6/6 pool home featuring an over sized lot w/ beautiful lake views. 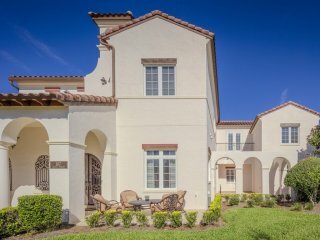 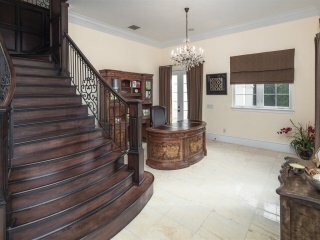 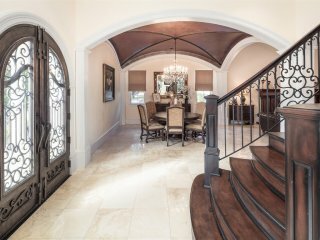 Gorgeous entryway w/ elegant Cantera wrought iron cathedral door entrance & beautiful mahogany staircase. 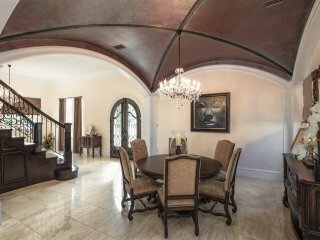 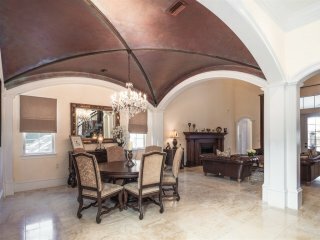 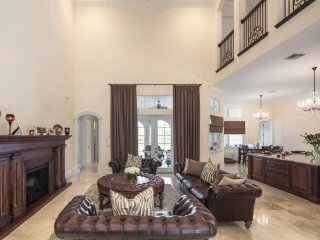 Dramatic living room & dining room w/ vault and coffered ceilings. 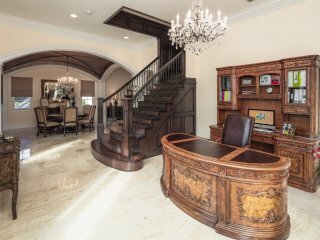 Office on first level w/ French doors leading out to a courtyard. 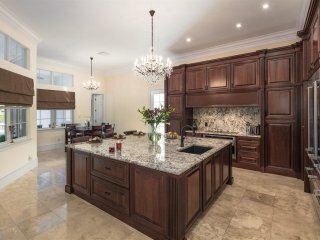 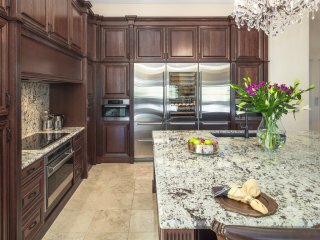 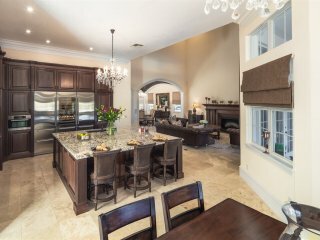 You’ll love the beautiful NEW Gourmet kitchen featuring custom built cabinetry, Sub Zero refrigerator, Wolf Induction cook top & oven, Bosch dishwasher, Miele built in coffee maker, wine refrigerator, stainless steel appliances, granite counter tops & large kitchen Island-great for entertaining guests. 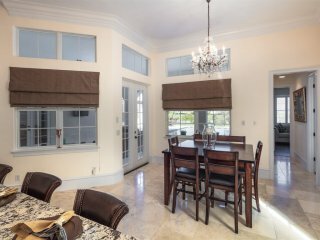 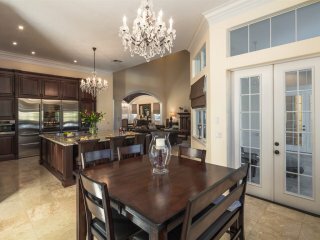 Kitchen opens to living area and French doors lead out to spacious outdoor living spaces with gorgeous views of pool and lake. 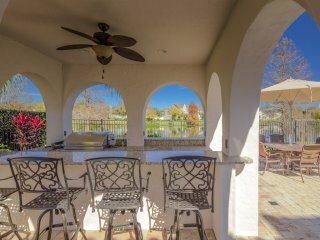 Large outdoor kitchen and grill cabana w/ Pool & spa. 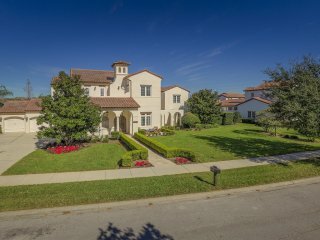 The 2nd level features the Luxurious Master bedroom w/ elegant balcony for premier views of pool and lake. 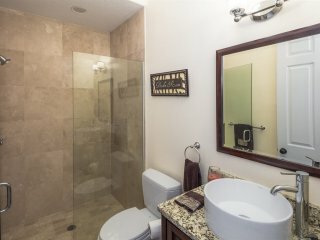 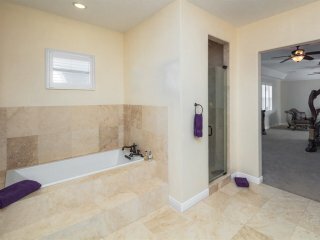 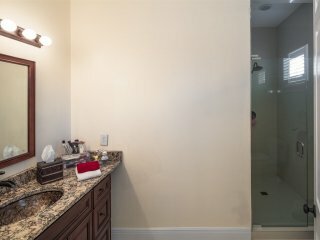 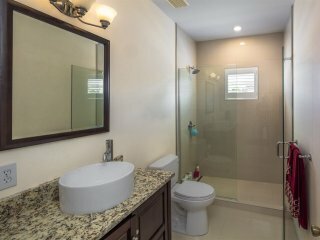 Spacious Master bathrm w/ custom cabinetry, beautiful tile work & garden style tub. 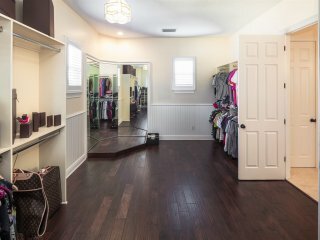 Enjoy your spacious “Dream” Walk in closet with plenty of organized closet space! 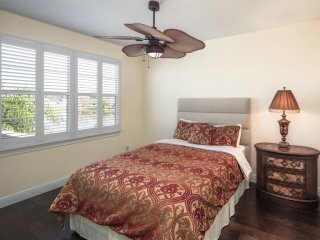 Additional bedroom w/ spacious closet space. 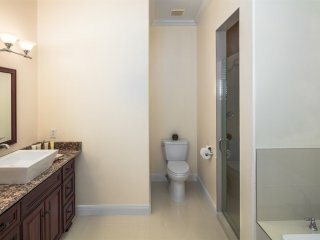 Bathrm w/ modern design & porcelain tile. 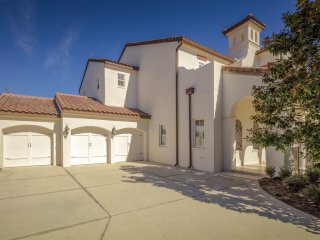 3- car garage . 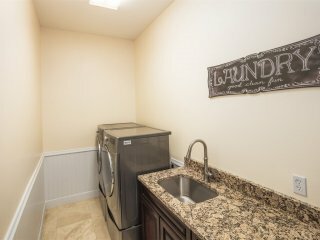 Garage apt w/ separate entrance. 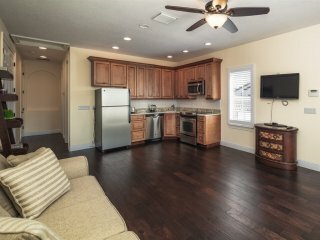 15 minutes to Orlando International Airport, 5 minutes from Disney Parks & Downtown Celebration.